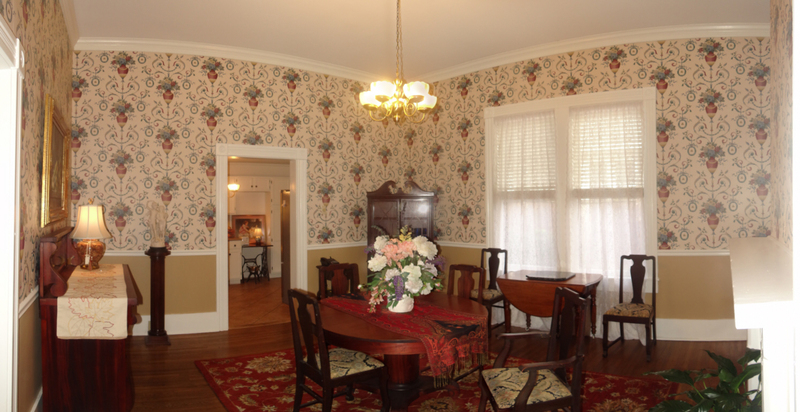 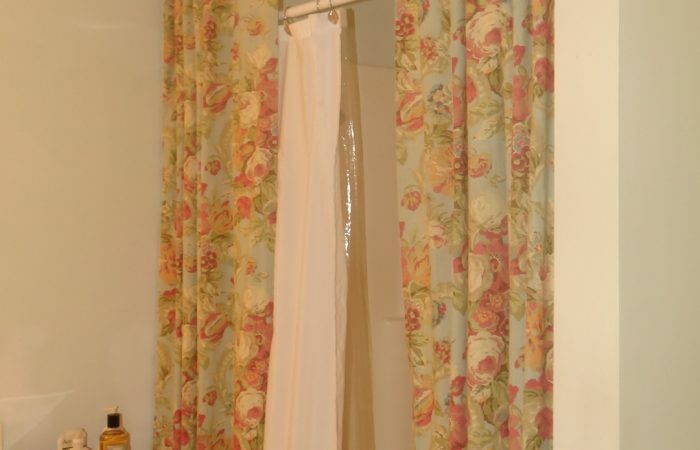 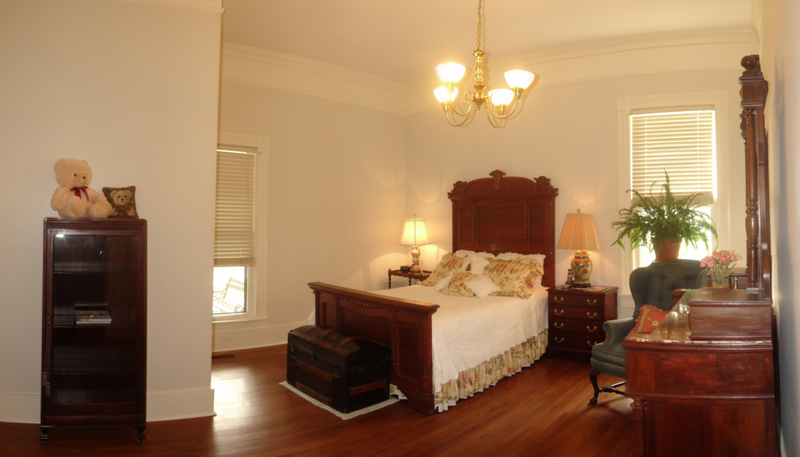 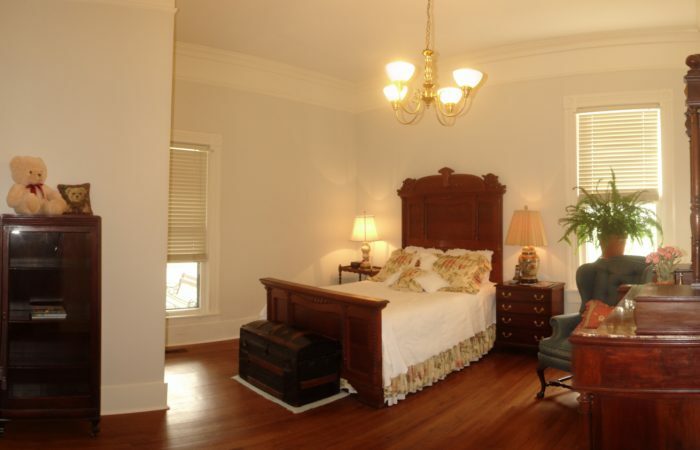 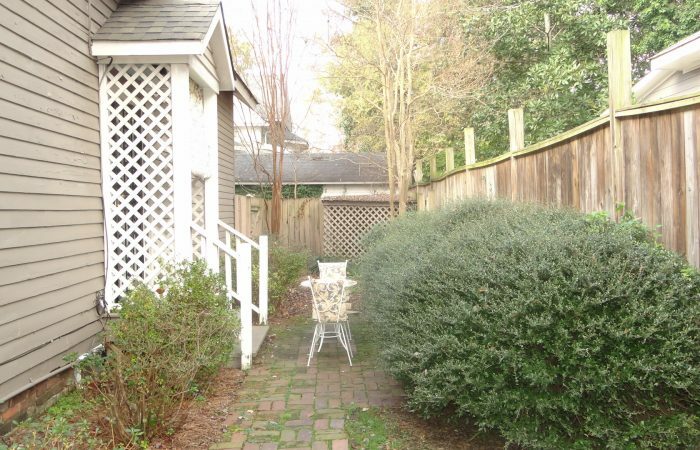 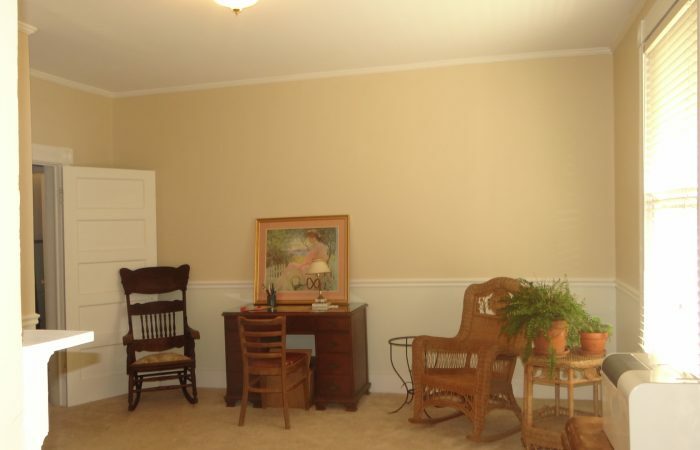 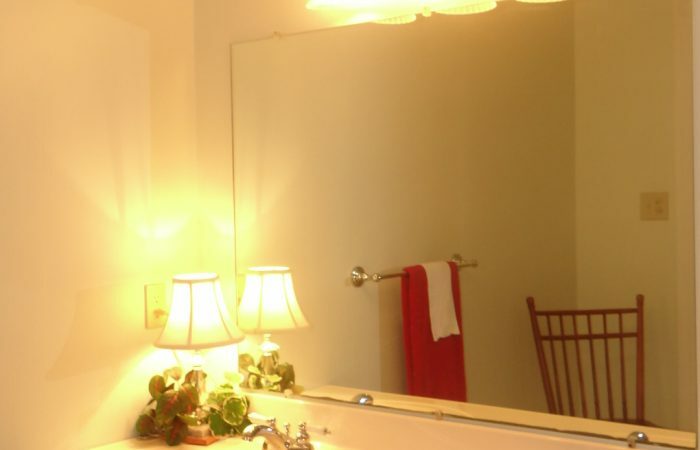 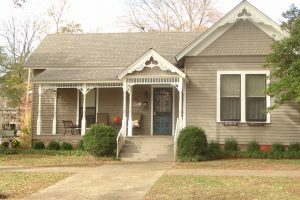 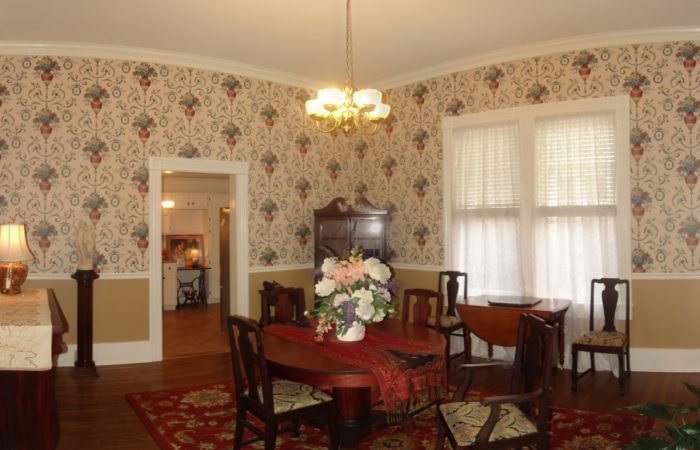 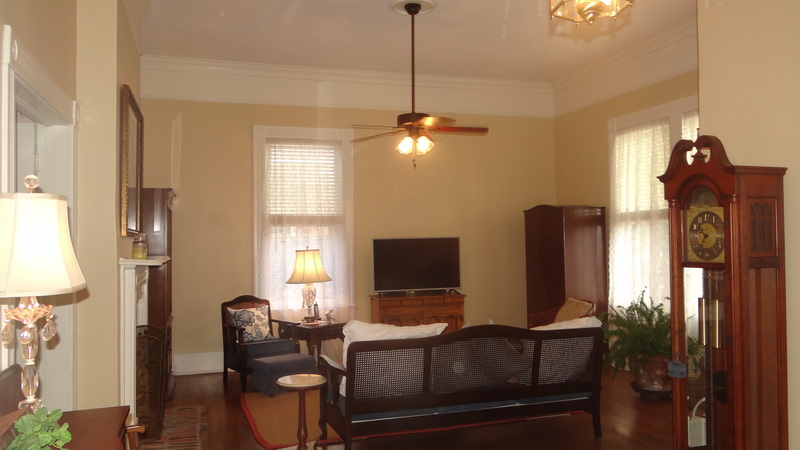 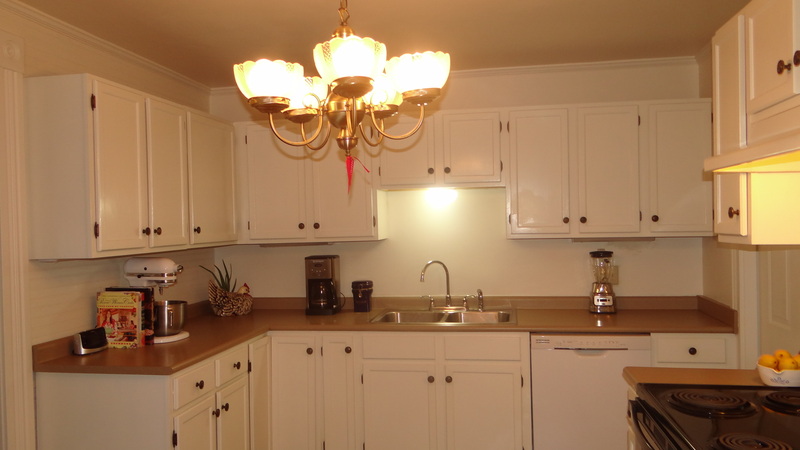 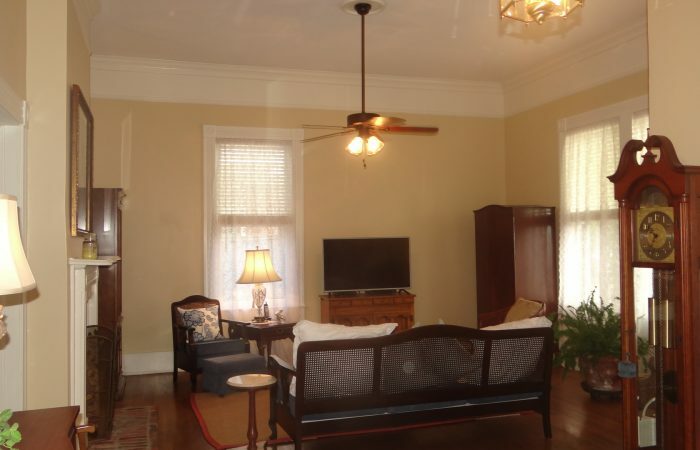 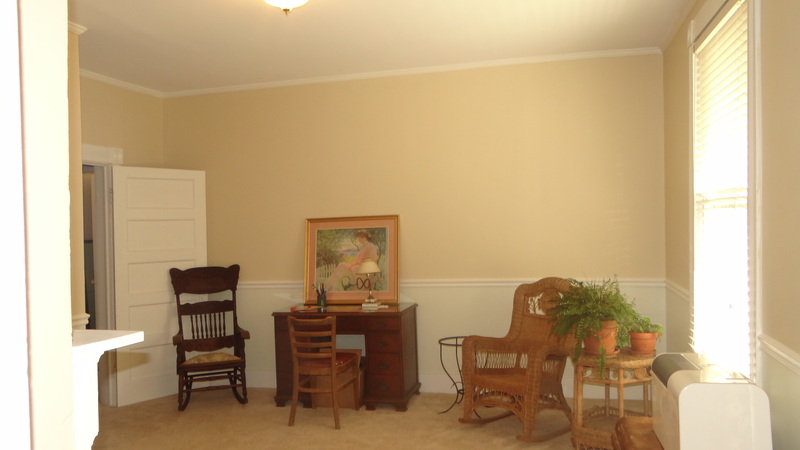 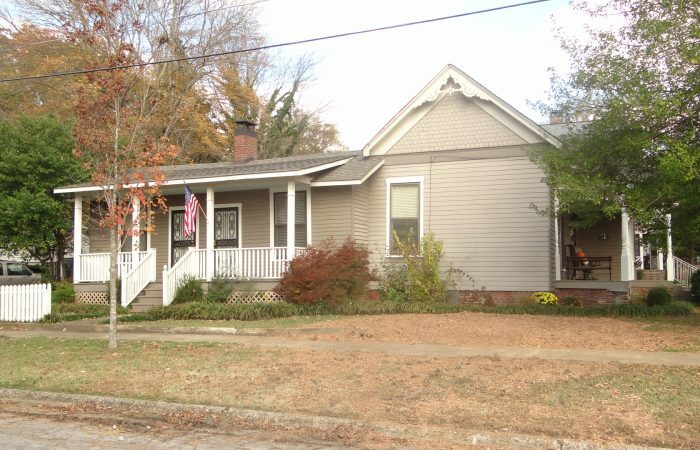 This cute Victorian Style home has 12 ft ceilings, hardwood floors, spacious rooms. 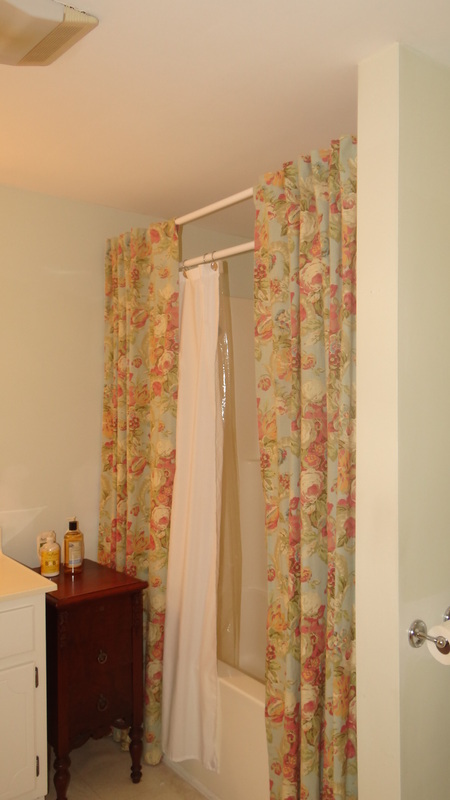 The back den (plumbed for second kitchen), half bath, upstairs bedroom and bath can be separated for an investment property if preferred. 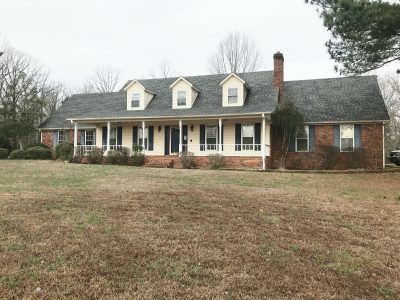 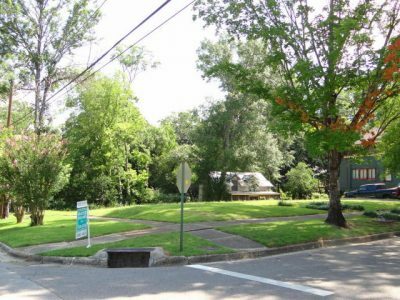 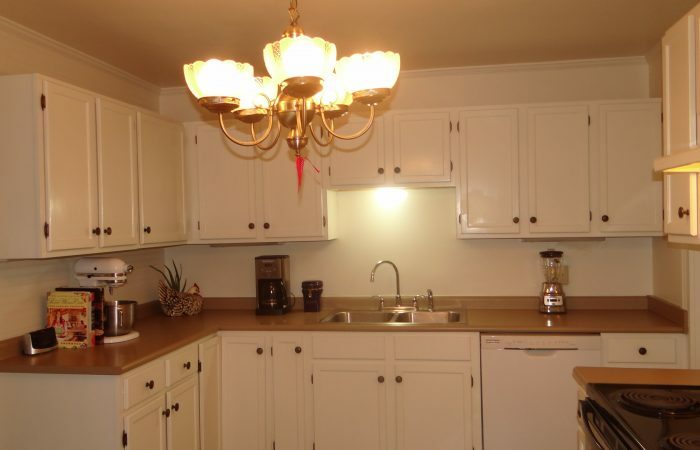 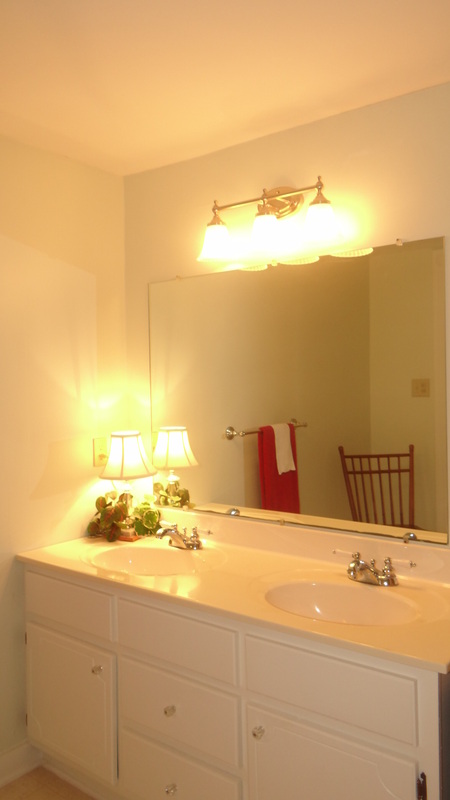 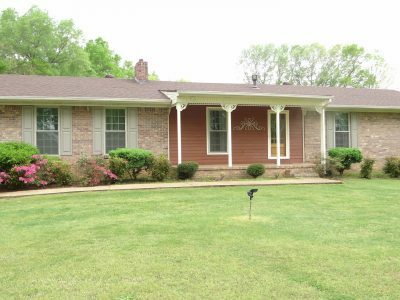 Otherwise is currently a 4 bedroom, 3 bath house (2 full baths and 2 half baths). 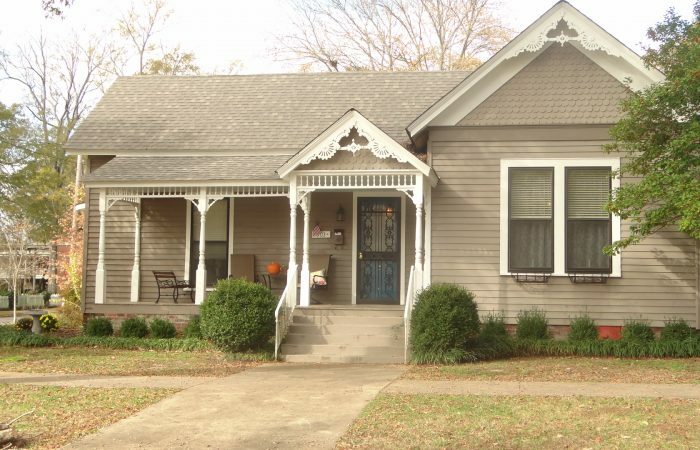 Amazing character on a quite downtown street two blocks for shopping, library, banks, etc.